Weston Peick will continue racing with JGRMX for a fifth consecutive season. The Autotrader/Yoshimura/Suzuki Factory Racing Team announced today that they've signed him to a contract extension for the 2019 supercross and Lucas Oil Pro Motocross seasons. "I'm excited to continue this partnership," Peick said in a team statement. "The team has been like a family to me ever since the first day I signed with them. Being able to surround myself with such a great group of professionals has been an awesome experience. I'm looking forward to improving my results next year and having another season on the Suzuki RM-Z450. Development has gone very well, and we will be ahead of the game heading into the Anaheim Supercross opener." 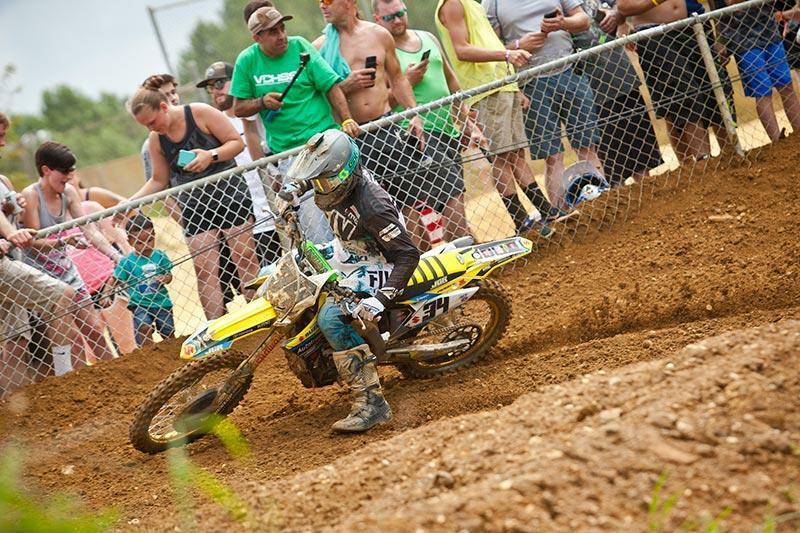 Despite dealing with torn tendons in his hand the whole season, Peick only missed one round of this year's Lucas Oil Pro Motocross Championship. He ended up eighth overall in 450MX points and finished top ten in 18 of the 22 motos he raced. Peick officially joins Justin Hill on JGR's 450 Class roster for next year. Alex Martin, who was recently signed to a two-year deal, is the only rider confirmed for the 250 Class lineup so far.